Entry-level twin blade board edger with manual blade adjustment, gas/electric power, one fixed/one adjustable 10” carbide-tipped circular blades, 20 ½” max width capacity, 12” max finished board width, and 30 fpm belt driven feed system. 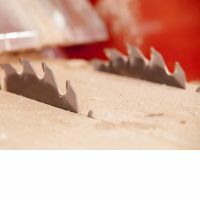 With one adjustable and one fixed 10” (254mm) diameter carbide-tipped circular blades, the EG100 can edge up to 20 ½” (520mm) wide flitches into a 12” (300mm) wide finished board with a maximum board thickness of 2” (50mm). The manual blade adjustment lever allows quick width adjustment between board sizes. 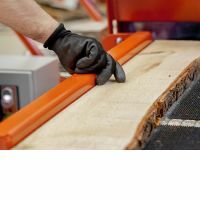 For flitches that need both sides edged, the scale on the infeed hold-down roller allows the operator to see what size boards can be cut and line up the board accordingly. A removable board fence makes it easy to trim boards that already have one straight side. Infeed and outfeed conveyors work together to move the board smoothly through the edger. 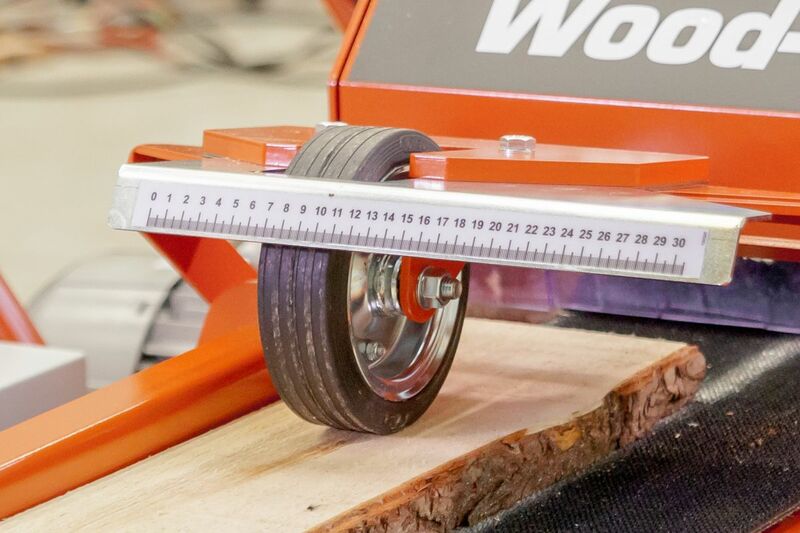 The infeed and outfeed hold-down rollers are sufficiently heavy and the rubber wheels on the rollers have significant friction to keep boards stable and secured as they move through the edger. The EG100 twin blade board edger ships on a single pallet and requires minimal assembly. 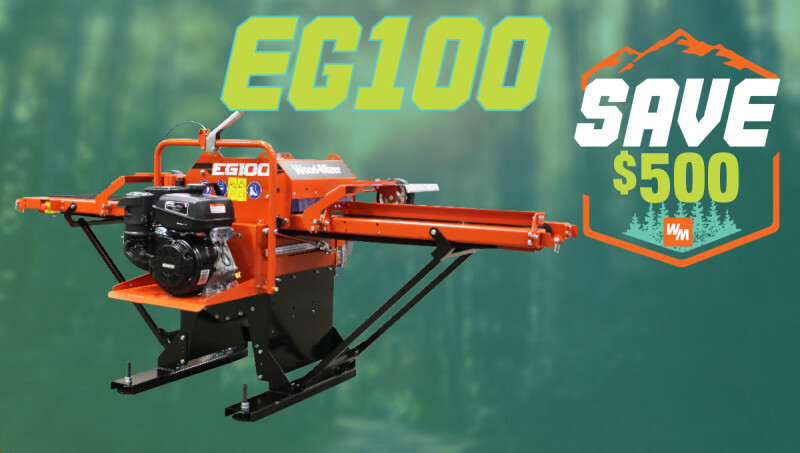 With a 2-year warranty, the EG100 edger is backed by the same legendary service, quality and safety features shared by the rest of the family of Wood-Mizer wood processing equipment. 14 HP gas engine is standard. Easily and precisely adjust the distance between the blades to produce accurate finished boards. Heavy infeed and outfeed rollers keep the boards stable and secured during edging. One fixed/one adjustable 10" carbide-tipped circular blades. Scale on the infeed allows operator to edge boards accurately. Easily removable board fence for edging boards with one straight side.